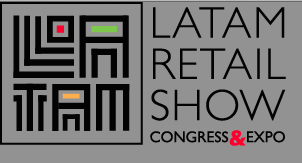 In more than 14.000 sqm, in the city of São Paulo (Brazil), the most complete Retail event of Latin America will take place with more than 300 exhibiting brands. The expectation is to have around 12.000 people in four days of activities. By adopting the concept One Stop Shopping, in a single area, the participants of the event have the opportunity to try exclusive uninterrupted content for 4 days from the 4 Ebeltoft Brazil/GS&MD Gouvêa de Souza successful congress cases.